D: The woman behind the blog? A: I’m almost (eek) 28, from Southampton and engaged to Arran from Haloofthoughts. I’m currently on maternity leave after a stint in social media management and before that worked in pharmacy which I’m dying to get back to. D: How did you get your start online? A: My blog was originally a hobby, as Arran used to work late into the night and when we first lived together it was a bit lonely so I created my online space and it went from there. D: You created Southampton Bloggers, one of the biggest hubs for bloggers online that stretches way beyond Southampton now! How has it been creating and managing this? A: Surreal, what started as an idea during a Sunday evening bloggers chat has snowballed into something so much more. We’ve been able to work with incredible companies, bring together so many bloggers and watch friendships blossom while holding fun events too! It also gives bloggers a chance to come together and share their posts through our Twitter & Instagram pages. We have bloggers attend events from all over the country too which is fab, we’re definitely all about community. D: Very soon (maybe he’s already arrived by the time this is posted) there’ll be a new addition to your family! Has this affected the content you put online, and how do you think it’ll affect your life as a creator? A: Hopefully not too much, but as I change and grow, it’s only natural my blog will. I’ve wanted to share the highs and lows of pregnancy while also keeping a record of it for myself in years to come. It’s opened up more opportunities the last few months which in turn has enabled me to work with some incredible baby brands. Plus people are nosy, they like a peek into your life! D: But of course more than anything we’re just excited for Baby Spake and all the adorable pictures to come! A: So am I! I Cannot wait to have him here with us! D: Where do you draw inspiration to consistently create high quality content? A: Fellow bloggers I admire, my favourite companies and how they share their campaigns or just random thoughts I’ve had while doing something pointless. Having a plan and schedule has always helped me keep on track. D: In your own blogging career, are there any highlights for you personally? A: There’s been a few, I think working with Urban Decay is definitely up there as they’re my favourite makeup brand. Arran and I had the opportunity to work with Superdrug in their boyfriend/girlfriend challenge videos earlier this year too. My two favourites are definitely working with Farfetch and Hawaiian Tropic, they were both amazing days and pinch me moments. D: Do you have a handful of creators, not necessarily bloggers, who you look up to/admire their work, etc? A: I really admire Brogan Tate‘s work ethic and ability to always put on a smile plus anyone that keeps up weekly vlogs for that long deserves a medal. I also have so much respect and admiration for Grace Victory for what she’s doing when it comes to body positivity and diversity, I think everyone should read her book, No Filter. D: What’s the future look like for Alice Spake? A: Nappy filled haha I don’t know if I’m completely honest, I’m taking the next few months as they come and then next year, who knows! I feel weirdly excited for having no plans or ideas about the future. D: Who’s your favourite band/artist/musician? A huge thank you to Alice for joining us today, and a big congratulations to her and Arran on the (soon to be) birth of their first bundle of joy. 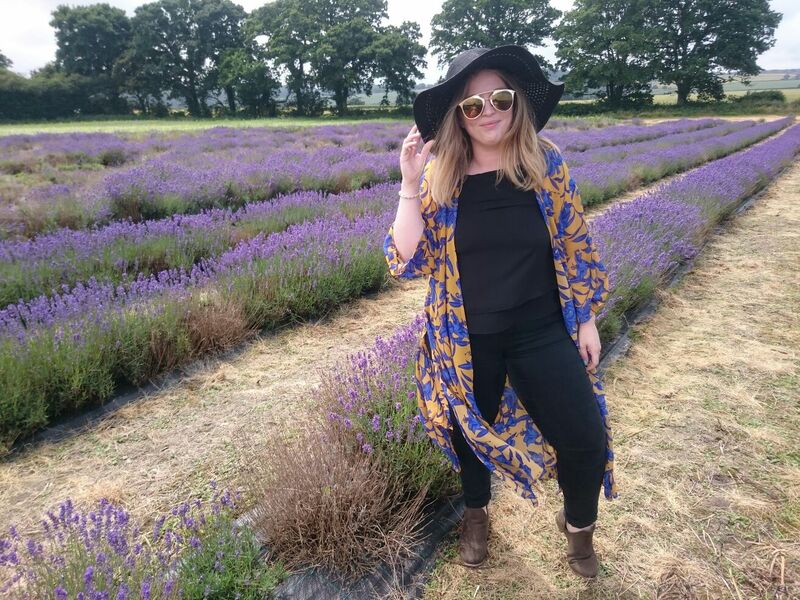 Follow Alice on Twitter and Instagram, make sure to check out her blog for all things Southampton and lifestyle. Also follow Baby Spake, he’s fresh out the womb and gets more likes than me already. Baller. For more interviews with bloggers, musicians and creators of all kinds, click here.